February 2017 - Previous Photograph Competitions - Military Airshows. 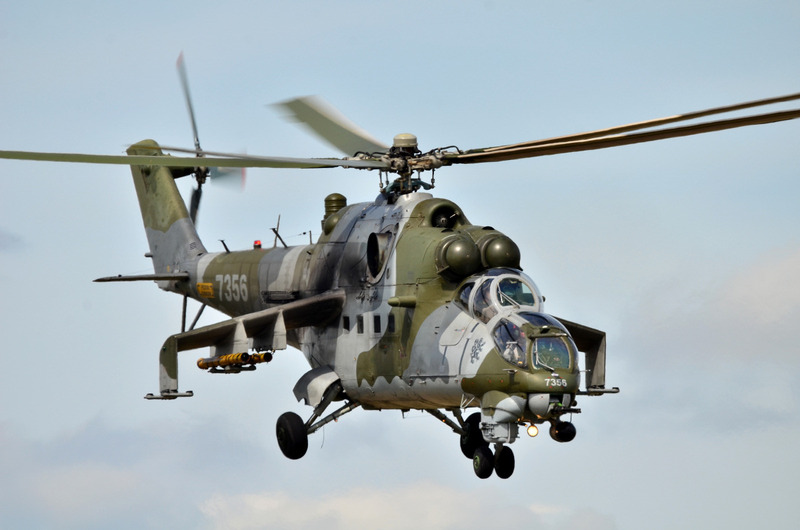 7356, Mil Mi-24V Hind, Czech Air Force, photographed at RIAT, RAF Fairford 2015, with Nikon D7000 and Sigma 150-500 OS, HSM Lens attached. Army AH-64D Apache during low level training in Mid Wales 2016. Taken on a Nikon D7000 with Sigma 150-500mm lens. Keith Griffiths Boeing CV-22B Osprey at RIAT 2015. Canon 50D & Canon 100-400mm lens. KAN Solent Coast Guard AW-138 hovering at Calshot, Hampshire. Camera Nikon D3500. Eurocopter AS365N3 Dauphin III at Beccles Airfield, Suffolk. John Bilcliffe Belgium Air Force A109BA Solo display, taken in 2014 ,at Kleine-Brogel. Canon EOS700D, and 70-300 IS USM lens. Peter Busby RNLAF AH-64D Apache at RIAT. "helicopter Attack" - Sea King and an Apache during their combat routine at the end of Yeovilton Airshow 2013. Sony Alpha 350 & a Sigma 70-300 Telephoto lens. Paul Wallis RN "Wildcats" (Luqa 2015). Perfect display, but main rotors blades are out of sync ("tongue-in-cheek"). Hugh Valentine Lockheed Martin F-35B Lightning II at RIAT 2016. Canon 7D MK2, Canon 100-400 IS MK 2 lens & Canon 1.4 X Convertor.